The Penumbra System is a fully-integrated system designed specifically for mechanical thrombectomy by aspiration, and has received CE Mark. It is intended for use in the revascularisation of patients with acute ischemic stroke secondary to intracranial large vessel occlusions. 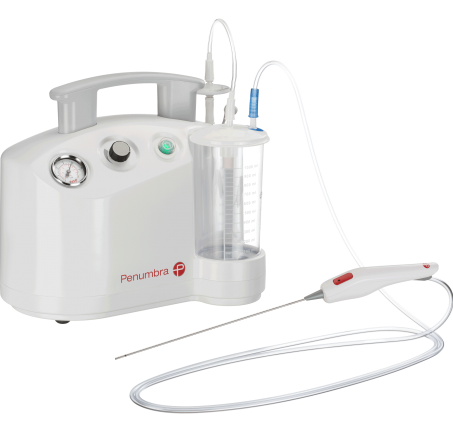 The Penumbra System includes Reperfusion Catheters, 3D Revascularization Device, the Penumbra Pump MAX aspiration source, and accessories. The latest generation of the Penumbra System features the Penumbra ACE Reperfusion Catheters, Hi-Flow Aspiration Tubing, and the 3D Revascularization Device.